Ever wonder if a movie is appropriate for your child? Have questions about what to do when your child asks to have a smart phone or sign up for Facebook? 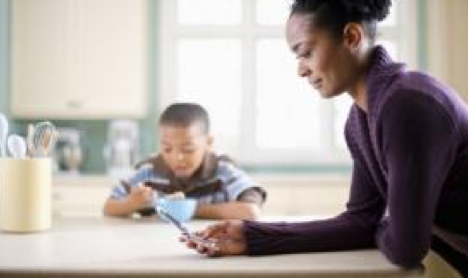 Common Sense Media can provide advice on these questions about children and screen time and so much more. When it comes to helping parents sift through the countless media choices out there for our kids, there is no better online resource than Common Sense Media. I am thrilled to share with you the insights of Sierra Filucci, the executive editor of parenting content at this terrific organization. Sierra will provide you with everything you need to know about this great website, as well as tips for the perfect family movie night, using a cell phone in front of your kids, and more. I know you will enjoy her thoughtful interview. Reel Mama: What is Common Sense Media and how can it help parents and caregivers? Sierra Filucci: Common Sense Media is a nonprofit, nonpartisan organization designed to help families navigate an increasingly media-oriented world. We have ratings and reviews, based on child-development principles, of movies, TV shows, books, apps, video games, and more. We also offer advice on topics from screen time to social media. 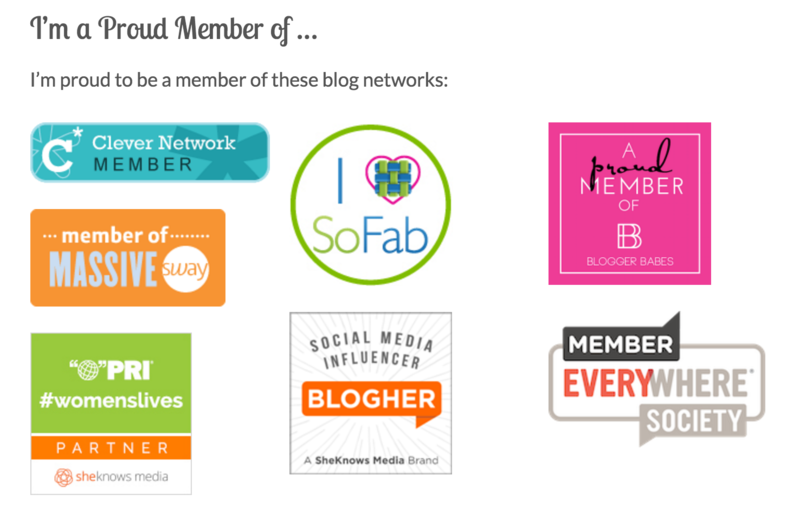 Our organization also works with teachers to help them bring digital citizenship lessons to students and we rate and review digital tools for the classroom. Common Sense can help parents and caregivers find great media for their kids, and help them make decisions that work for their families around everything from what movie to watch on the weekend or how to talk to kids about using cell phones at school. Reel Mama: What makes great children’s film and TV, and what are some of your favorite examples? Common Sense Media helps families plan outings to the movies. Sierra Filucci: Great movies and TV for kids meets them where they’re at developmentally, but doesn’t talk down to them either. Just like quality movies and shows for adults, kids content should be full of great storytelling, complex characters, interesting settings, and have something special to say. My favorite movies for kids are by Miyazaki ― from My Neighbor Totoro to Howl’s Moving Castle. I think his movies do all of these things well, and they avoid the traps of stereotypes and sanitized content that we see coming from more mainstream sources. For TV, I think PBS does kids’ content the best. I think there’s a real opportunity for better tween and teen TV, and I’m hoping that as more streaming services like Netflix and Amazon create quality content, they’ll find a way to make great stuff for these age groups. Reel Mama: You recently wrote about parents needing to set limits for themselves on the time they spend on their smart phones. How do you budget screen time with your family? As for other screen time, we have a lot of limits during the school year, mostly because we just don’t have much time for screens outside of school, friends, homework, and after school activities like sports and art. games on the iPad is one small part of that balance. He’s starting to get it…I think. Reel Mama: Can you share a tip on how to plan a family movie night, especially if you have kids of different ages? Sierra Filucci: I love movie nights! And my kids do too. We started having movie nights when my kids were about 6 and 8. We’d tried when they were younger but there weren’t many movies that the adults could sit through that still engaged or were appropriate for the kids. We’ll often have a movie in mind to watch ― lately it’s been Frozen ― but sometimes we don’t and we have to choose from what we own on DVD, what’s streaming, or what’s On Demand. What sometimes works well is if my husband and I select about four movies to choose from and let the kids take turns choosing from that small group ― that way we can select only what we think would work for both kids. When the kids get older, we’ll trade off choosing and include us parents too. 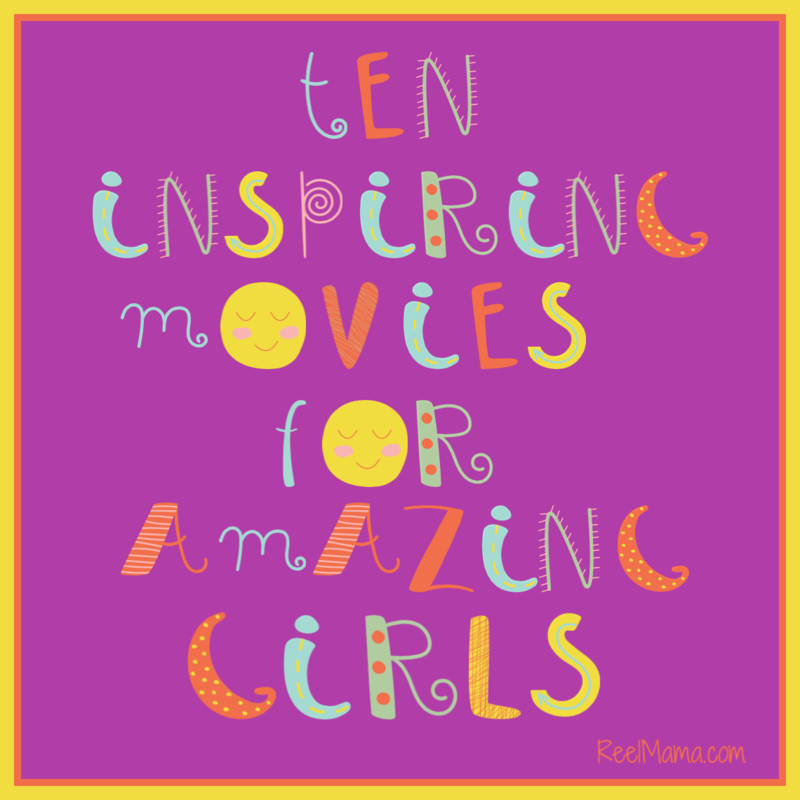 There are some great movies we’re looking forward to sharing with the kids when they get older. Reel Mama: What can parents say to kids to help guide them as they navigate the complex digital world of Internet and social media? Sierra Filucci: I think the most important thing to remember as your kid starts going online or using social media is that the same basic principles of parenting apply no matter what. Stay engaged. Show interest in your kids’ activities. Try to be nonjudgmental about your kids choices (unless they’re unsafe). Offer up your own values through example and conversation. If you can do all these things, you’ll set the groundwork for your kids to make good choices, come to you when they make mistakes, and feel supported as they figure things out on their own. Have a question or comment? Share it in the comments section below! 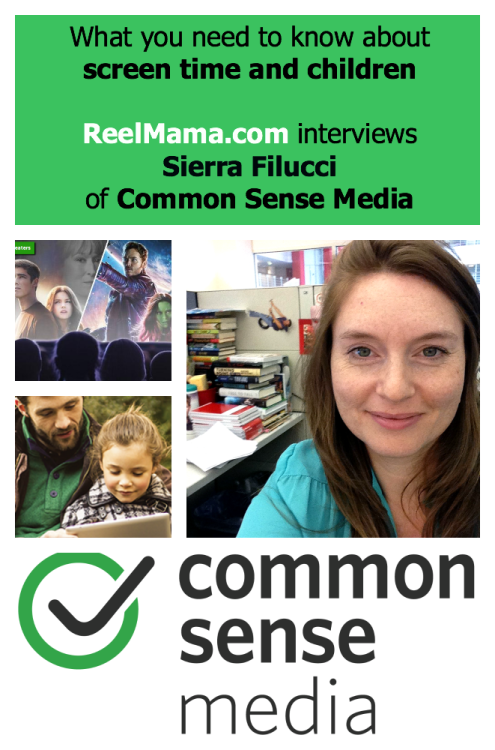 Sierra Filucci is the executive editor of parenting content at Common Sense Media. She oversees parenting advice for the organization and also manages the TV review channel. She has a master’s degree in journalism from UC Berkeley, and has been writing and editing for over a decade, with a focus on women and families. She has two kids, ages 8 and 10, and lives in the Bay Area. Follow her on Google + here. We’ve found that the movie rating system doesn’t always agree with what we think is appropriate to watch as a family. We simply don’t watch R rated movies at all and many times we watch PG-13 movies ourselves before deciding if it’s appropriate for a movie night. We love family movie night, too, and during school breaks we’ll have movie marathons. For the last one we watch all the Harry Potter movies in order, 2 movies a day. It was fun! Great article. This article will be very useful and helpful. Read and understand the article and you will get a brilliant idea. Thanks for sharing this article. I will share this information with my friends. Very informative. These are some great insights. Personally, I think parents are too lax with their kids these days, not just with TV, but electronic gadgets as well. Kids do need to be supervised more in this regard as well as limited so they can also put in physical activity.